Amanda is a consultant, facilitator and coach with an in-depth understanding of organisational, team and personal change in the public service environment. She provides impactful, work-based learning experiences, making training days fun, engaging and informative. She has experience of supporting and driving change in challenging situations and helps participants to relate learning and actions to their job or team role at work. She uses a range of training and coaching approaches to create and support motivating and safe learning environments which promote transfer of learning back at work through action planning and peer support. Amanda’s substantial public service client list includes: Surrey County Council, Buckinghamshire County Council, Wycombe District Council, Craven District Council, Aylesbury Vale District Council, Chiltern & South Bucks District Council, Central Bedfordshire Council, Bristol City Council and Northampton Council, etc, etc. 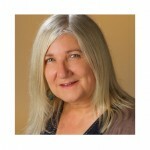 Amanda is based in Milton Keynes and works throughout the UK.